The Revere is truly in a class of its own. It features one of the cleanest burning fireboxes of any mid-sized inserts at 1.9 grams of emissions per hour. 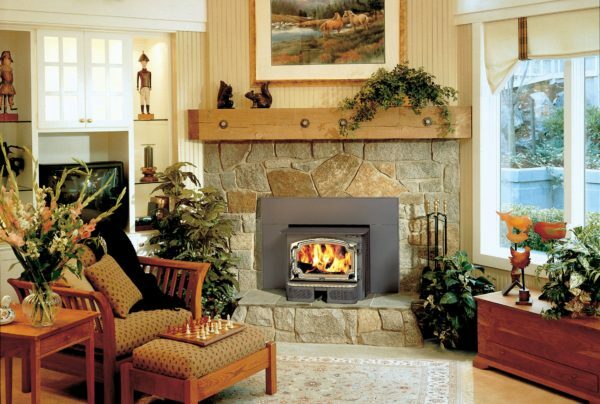 It is also the largest extended wood burning insert approved for zero clearance fireplace installations. The Revere can accommodate logs lengthwise up to 18″ long, at a greater capacity for longer burn times. The Revere is also the only insert of its size to use a bypass damper for easy fire startups and smoke-free reloading, and its 10″ x 24″ radiant cooktop surface is bigger than any other medium insert.